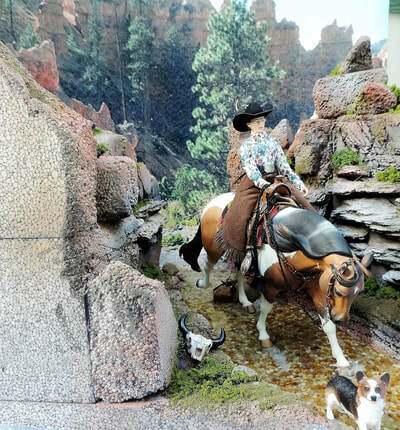 I make top LSQ tack & props in all scales- specialize in Western & English and Mini- but I do just about anything. 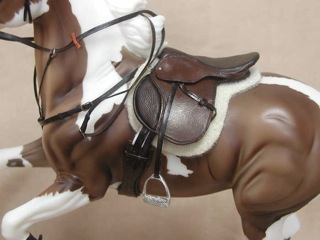 Creating top LSQ tack since 1978 - specialising in 'English' tack, all styles of side-saddle and harness. UK-based but sell all over the world, NAN Auction contributor. 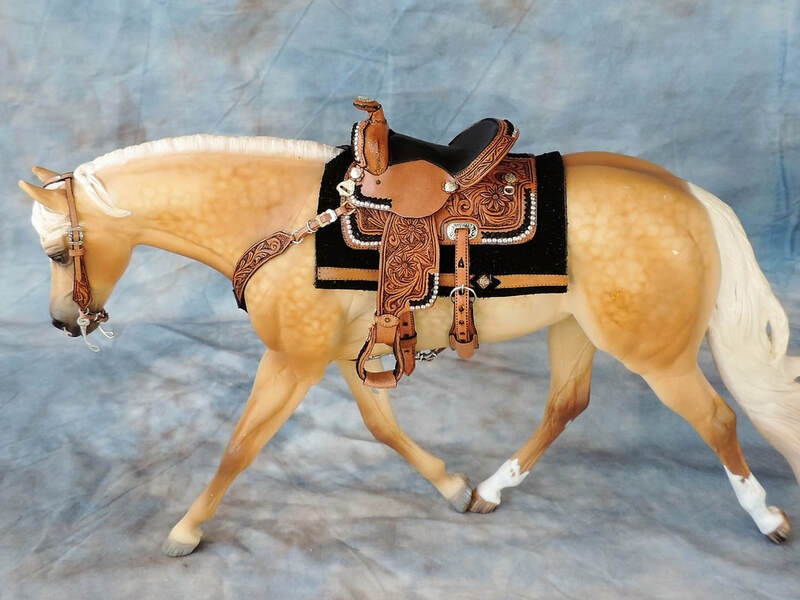 We specialize in Western tack, including all types of western saddles (work, all Around, Cutting, Roping, silver show saddles and parade saddles), halters, bridles, saddle pads.) 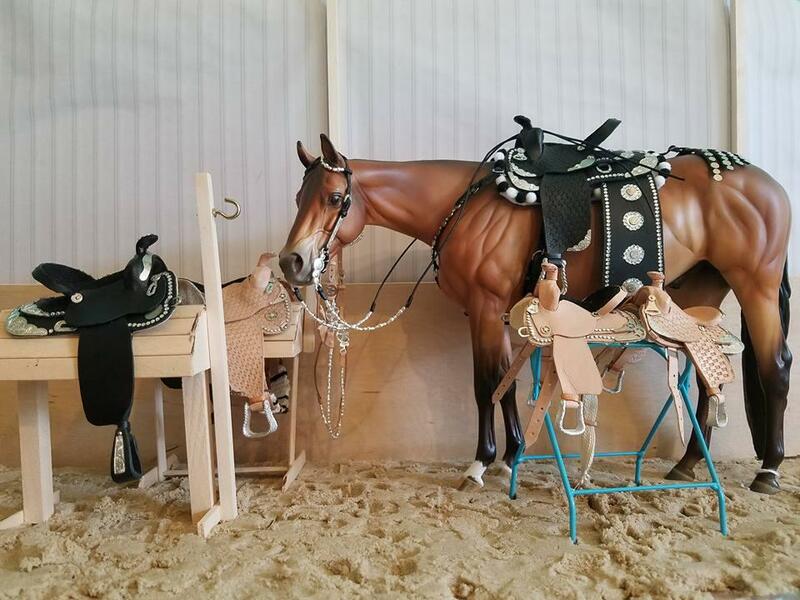 We basically work with Traditional tack. ​I specialize in mostly traditional sized tack from western saddles to light harness. I specialize in hand stitched western saddle pads, side saddles, halters, and more! 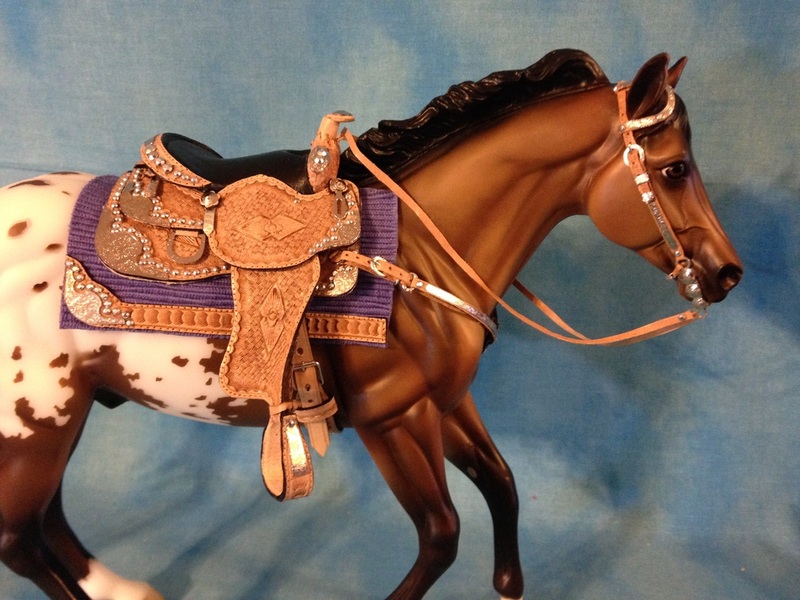 Custom harness made to your satisfaction with a quick turn around. 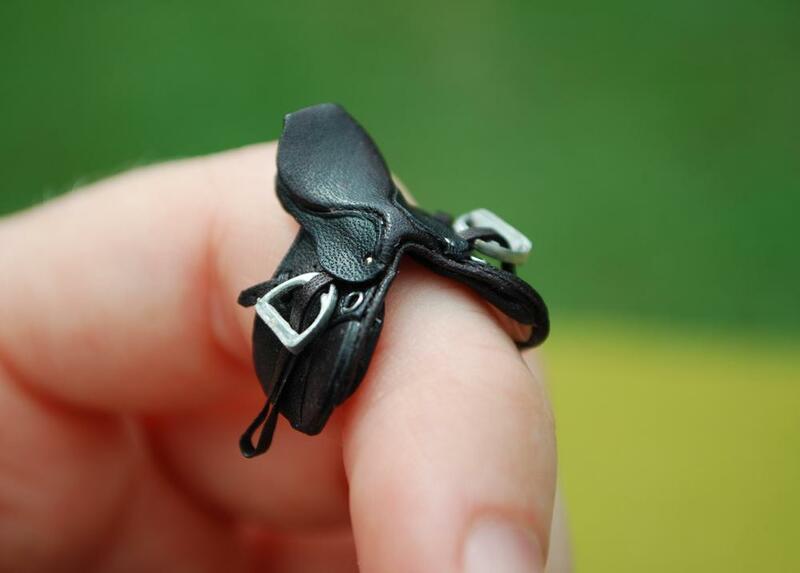 Show quality, made with the finest leathers and best buckles available! Reasonable prices. 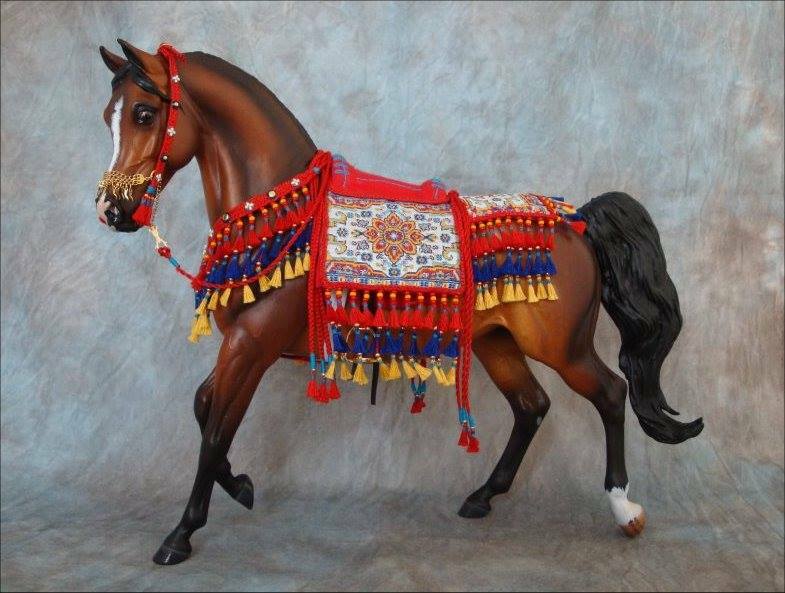 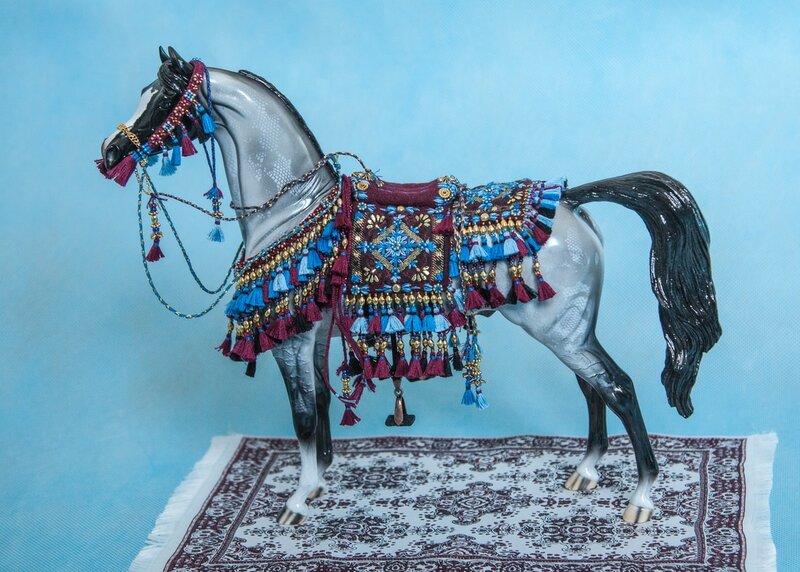 Specializing in all kinds of Arabian model horse tack, especially the jewel-y stuff! 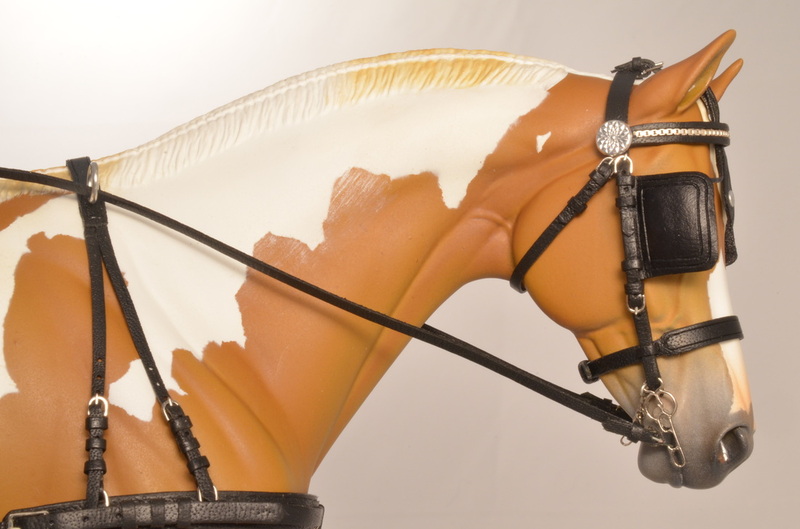 Specializing in: Almost every kind of (leather) tack. 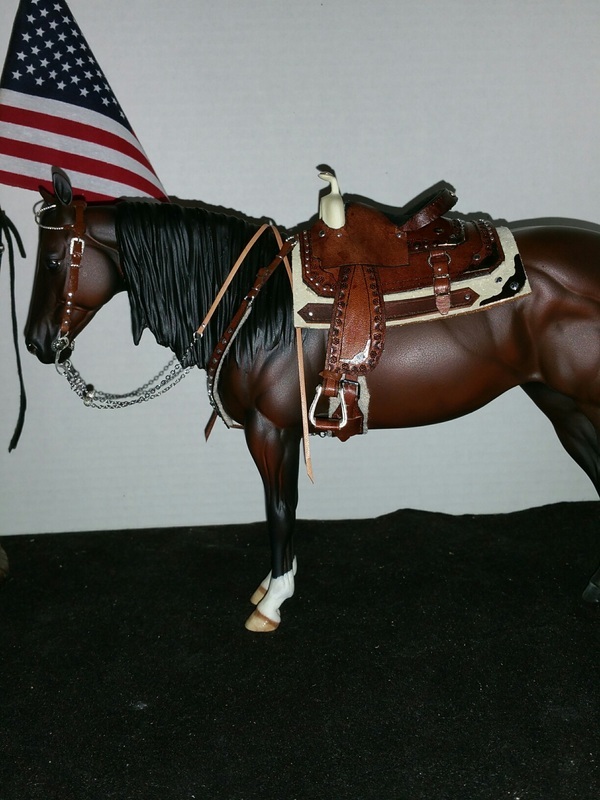 Portuguese, harness, english, western, historic and more! I specialize in anything of the leather variety. 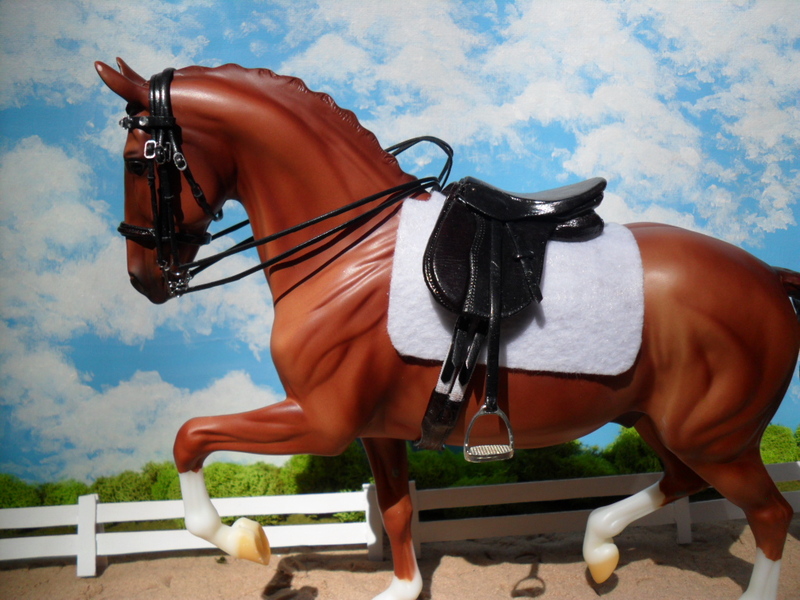 English, Western, Parade, Peruvian, Harness, Sidesaddle, etc. 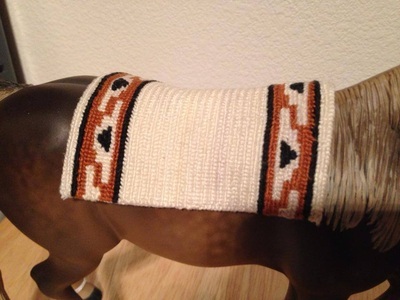 I'll try anything that doesn't require much sewing. Arabian Costumes, Odd ball Stuff, Spanish Masqueros, whatever interests me. 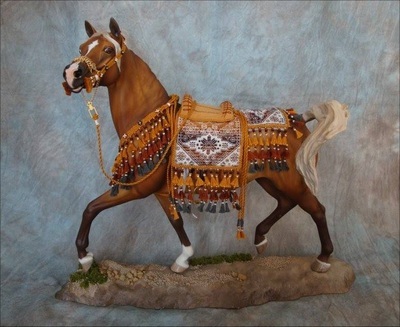 Specializing in all types of costumes, western saddles & presentation sets. 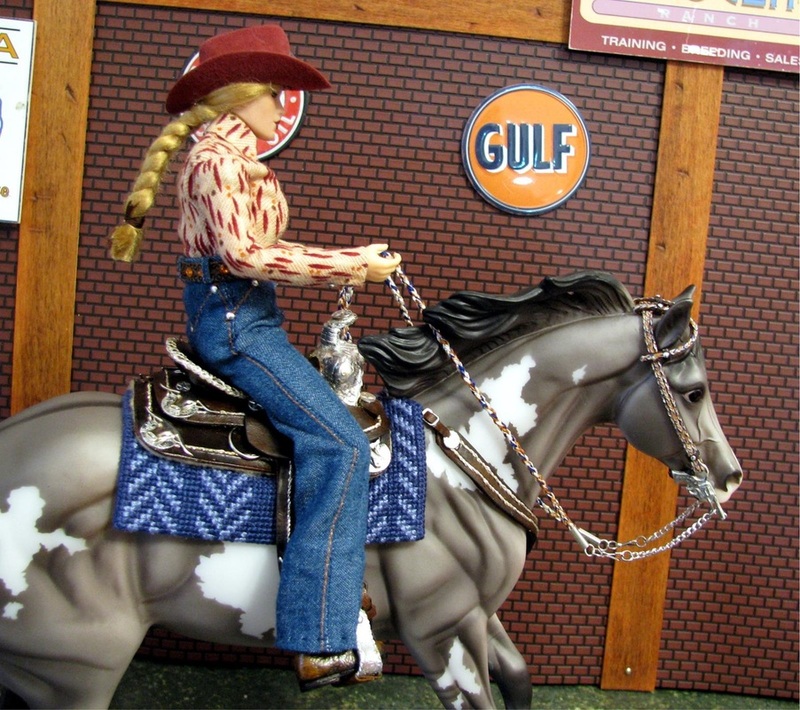 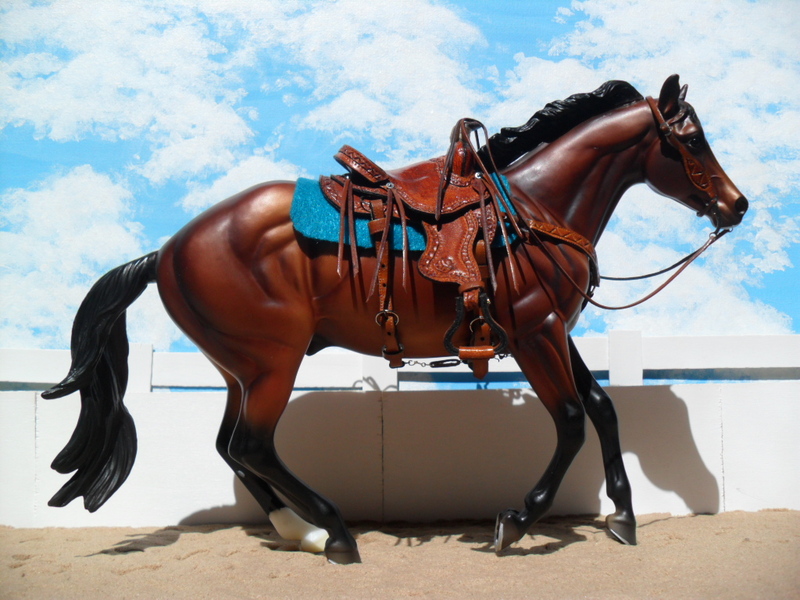 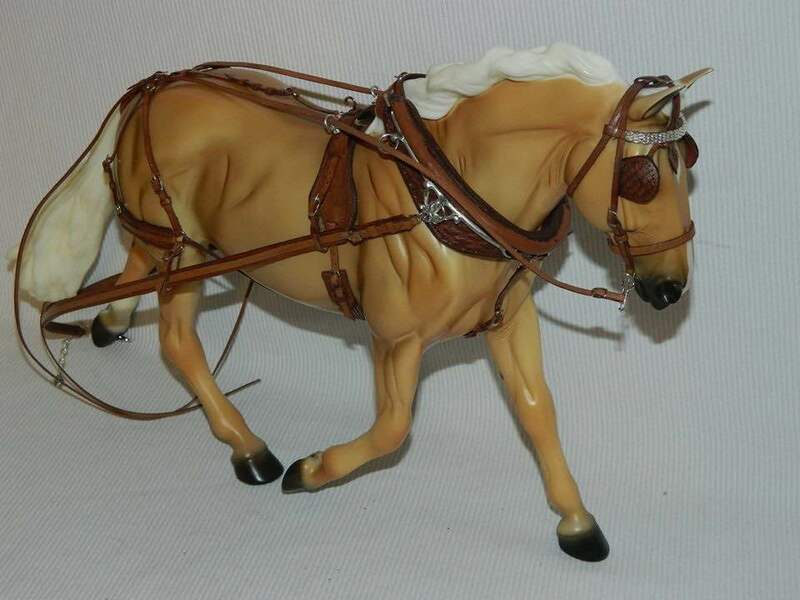 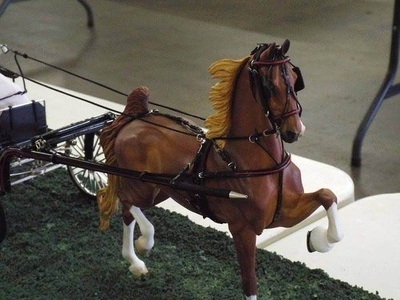 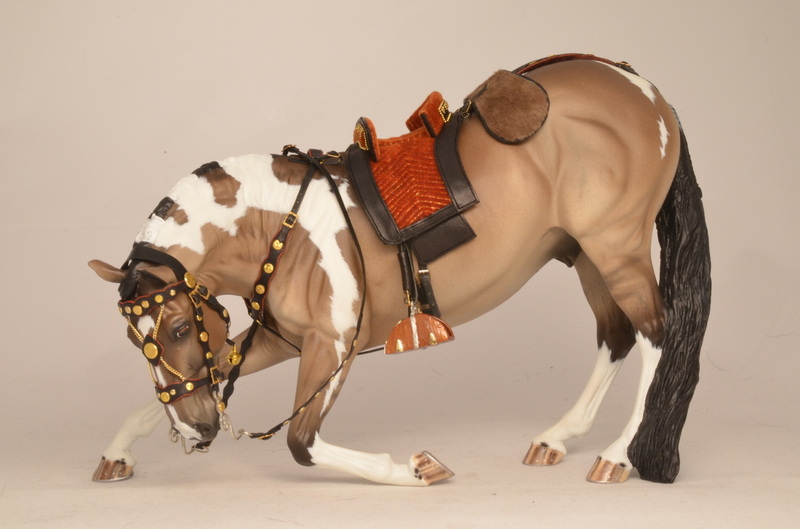 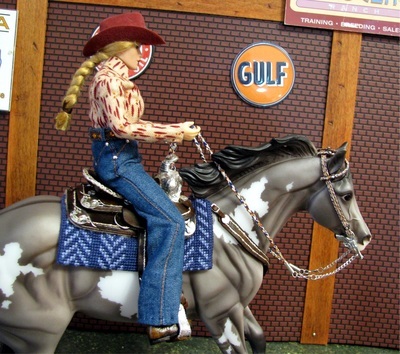 I specialize in all kinds of riding tack for traditional scale model horses. 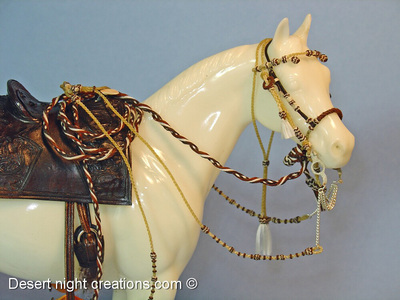 I also make classic scale tack. 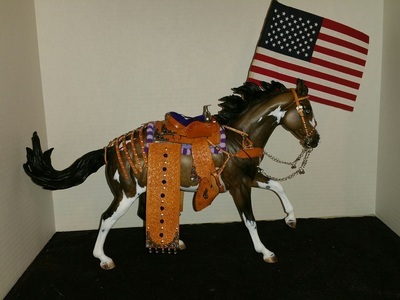 The Unicorn Woman (established 1980) Lillian, Texas, U.S.A.
Saddle Pads and Western String Girths. 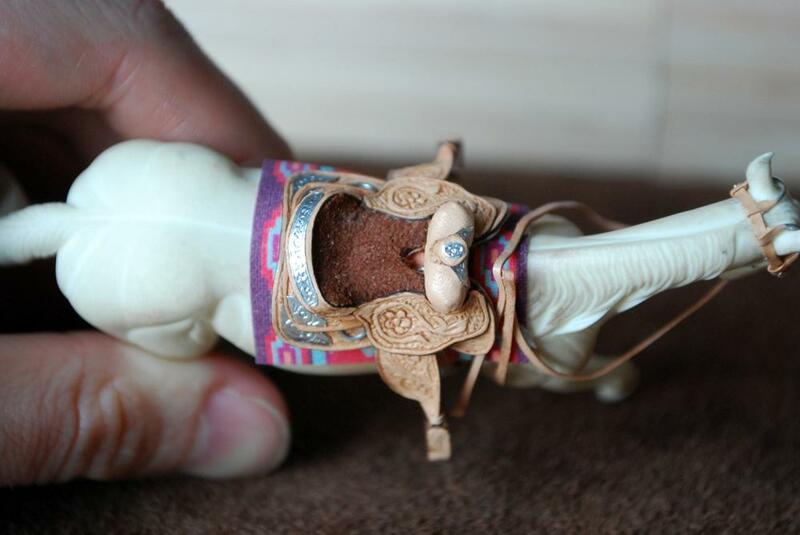 I specialize in mostly English tack. 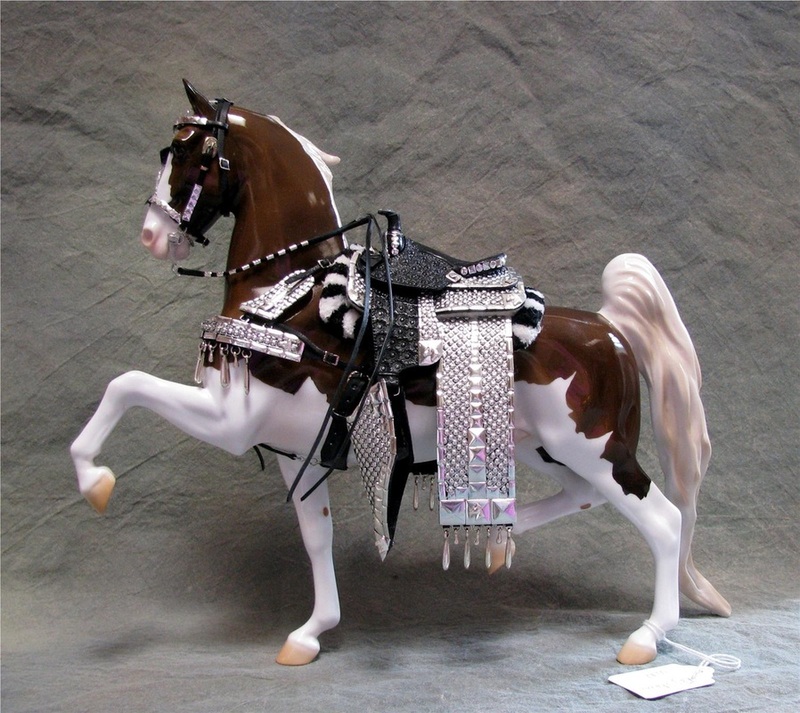 LSQ historical Native American costumes and riders since the Year 2000. 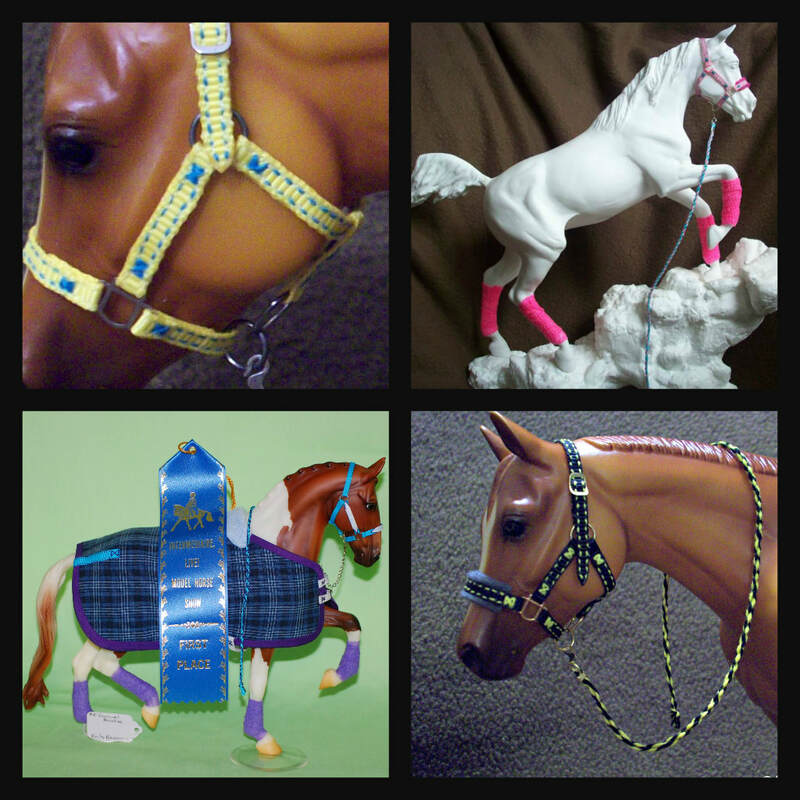 All scales from micro mini to Marx! 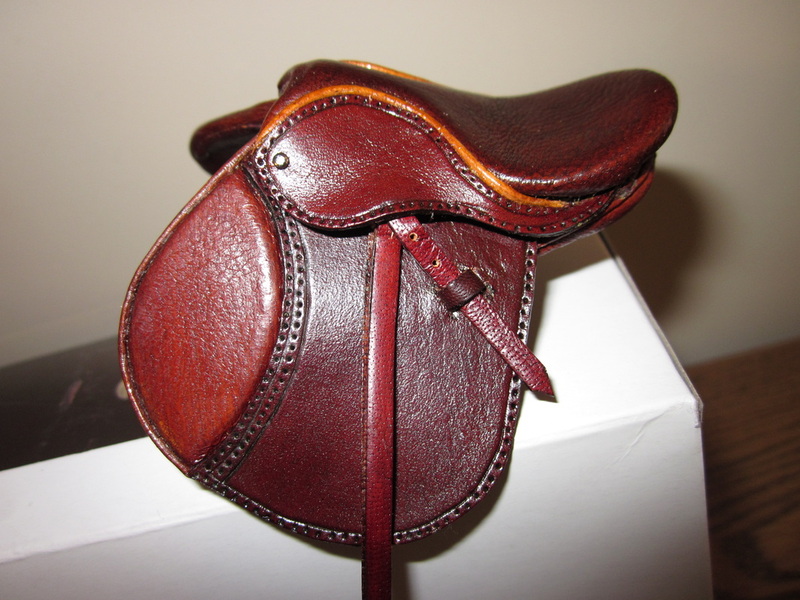 mule saddle packs and much more. 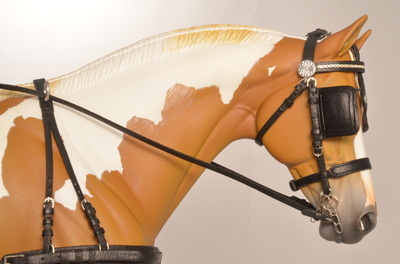 The SSS's Flashy Stable Halter and Accessory Tack Items. 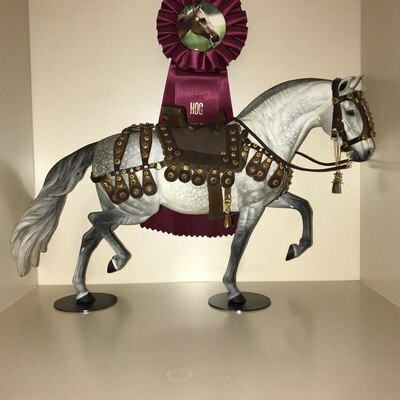 LSQ Proven! 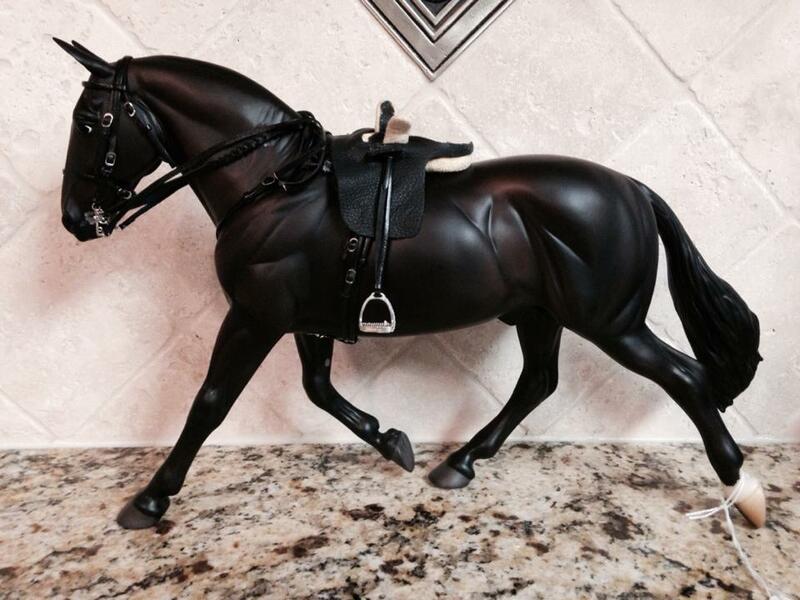 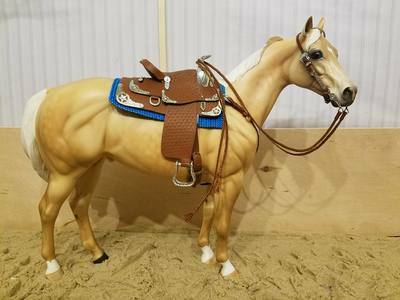 I create detailed miniature versions of real horse tack and props. I specialize in nylon, including halters and bridles of either western or english flavor, and leather goods such as western bridles/headstalls and various strapgoods! 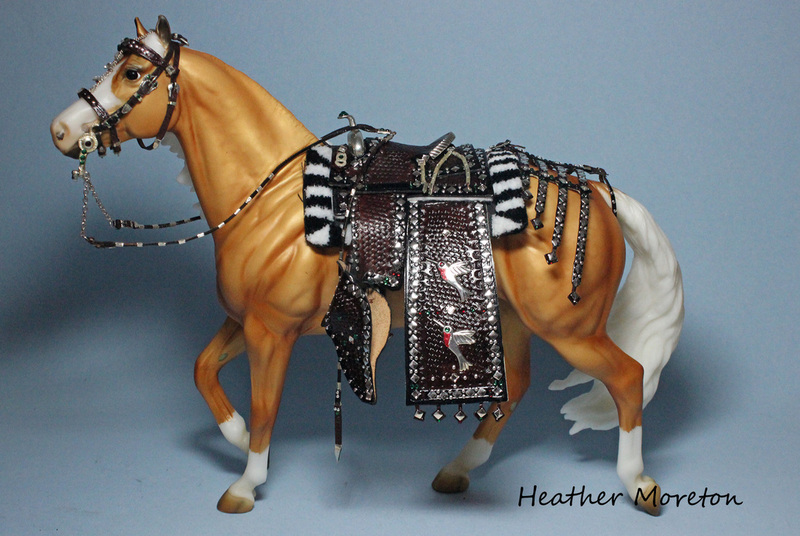 I offer reasonable rates on all my goods, and strive to make my pieces look and work just like the real thing! 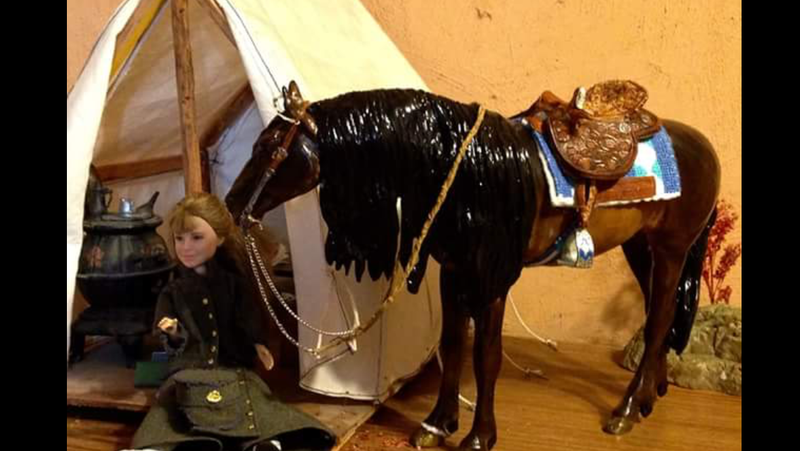 I can be contacted at barefootappaloosa@gmail.com for more information on commissions, and I am always available through my Facebook studio page, just search Barefoot Appaloosa Studios! All of my past work is available to see through my Facebook album, and I give regular in-progress updates.